The course is designed for professionals working with people following a stroke (e.g. 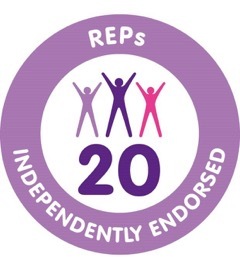 Physiotherapists, Occupational Therapists & Level 3 GP Referral Exercise Instructors (or those working towards this qualification). In special circumstances Nurses & those with a BSc in Sport, Exercise or Health Sciences can also enrol. The course is designed for those who have previously undertaken learning at an advanced level and who have some background of exercise delivery with older people. The variety of professionals who attend these courses aid local networking and help break down barriers between professions and build trust and respect for their differing skills. The course is based on the exercise intervention used in the STARTER trial that improved function and quality of life in people after stroke. 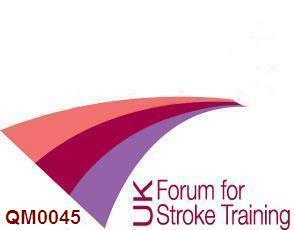 The course is also endorsed by the UK Forum for Stroke Training, with a specific unique Quality Mark number QM0045. The EfS Course is accredited by Queen Margaret’s University, Edinburgh, and endorsed by PD:Approval and recognised by REPS at Level 4. The course is recommended in the Best Practice Guidance for the Development of Exercise after Stroke Services in Community Settings November 2010, which can be downloaded from the Exercise After Stroke Website. This website is part of a Scottish Government funded project to scope the provision of Exercise after Stroke services across Scotland and to provide best practice guidelines for Exercise after Stroke. To find out more about the EfS course, including content, resources, how to apply, pre-requisites for course application (REPs) and costs, click here. Course dates, when set, can be found here. A copy of the Flyer is available to download. If you are already EfS qualified and are interested in CPD (Continuing Professional Development) click here. Dr Louise Shaw, Consultant Stroke Physician & Geriatrician, Royal United Hospital Bath NHS Trust.